The other thing we have been doing is winning awards! 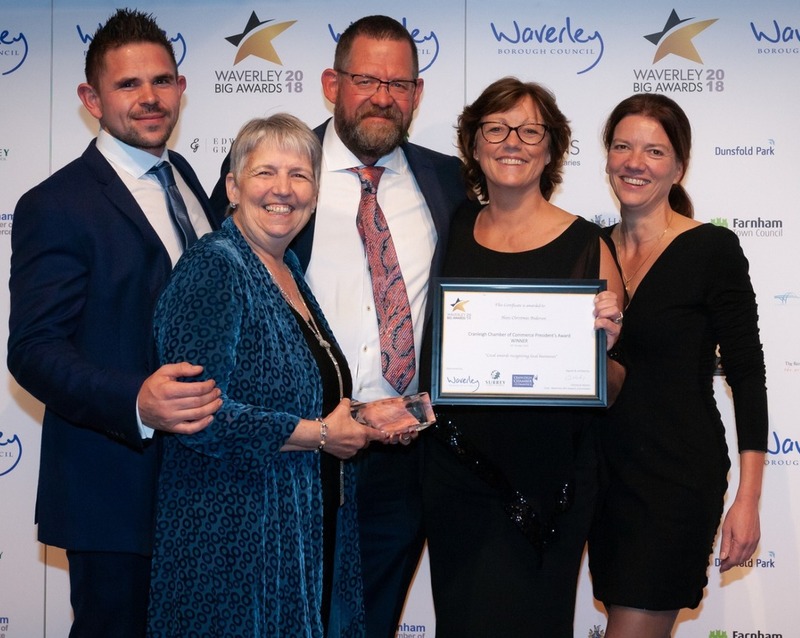 As you can see from the picture above we entered the Waverley Big Awards and were proud to win The Cranleigh Presidents Award. This is particularly important to us as it recognises the way the business is run and the people who make it such a success. 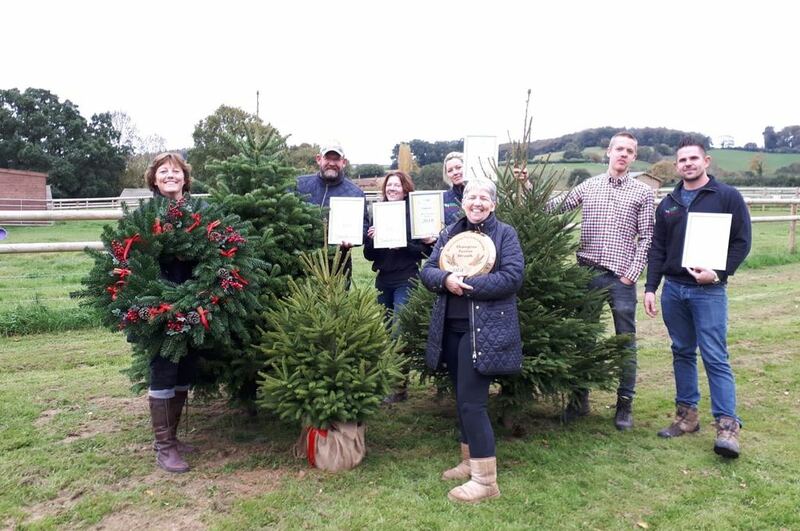 We were also award winners at the British Christmas Tree Growers Association competition day in October. We won Runner Best Nordman Fir Tree, Runner Up Best Spruce Tree and Runner Up Best Container Grown Tree. We won Best Decorated Wreath and Champion Festive Wreath. This award comes with the honour of making a wreath and taking it to Downing Street to put on the door of No. 10. New: Hans Christmas Andersen Bauble Garden! Every year a member of our creative team, Hannah, creates a beautiful garden next to our Santa's Grotto. This year she felt it would be especially nice to involve our local community, groups, clubs and businesses. 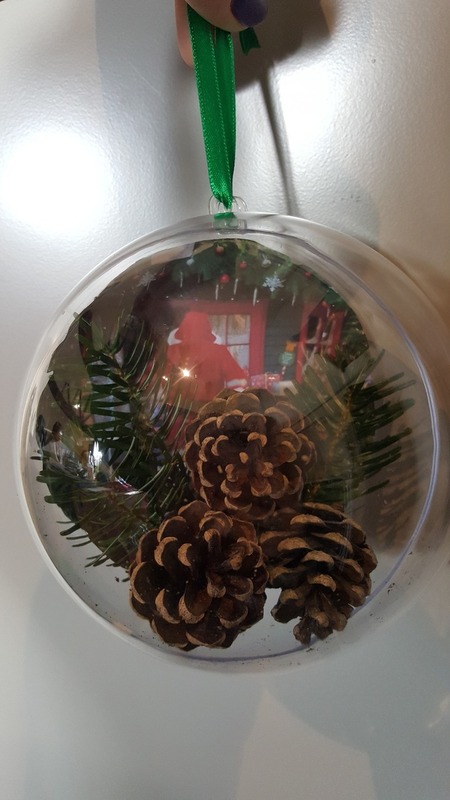 The idea is that contributors fill one of our 12cm baubles with something that evokes Christmas to them (see her beautiful example above) and, along with a small donation and a completed contributor's leaflet, drop it off at Santa Fir Christmas Tree Farm by 28th November. 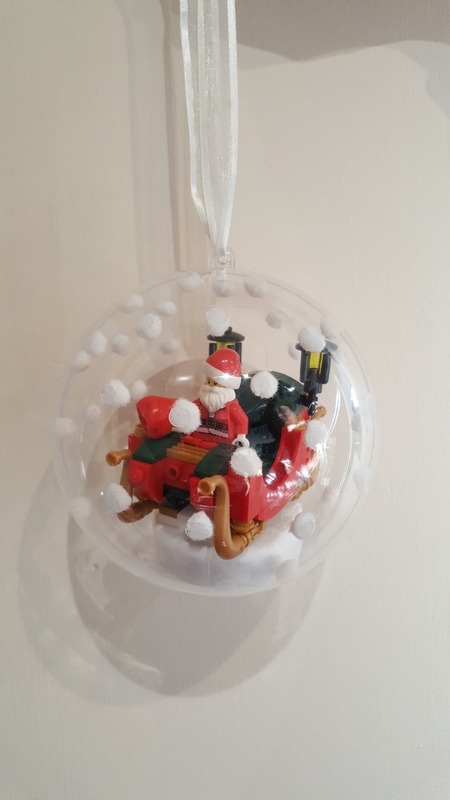 Santa will chose one of the baubles at random on the 1st December and all the money donated, which will also be matched by Hans Christmas Andersen, will be given to that group's nominated Charity on their behalf. 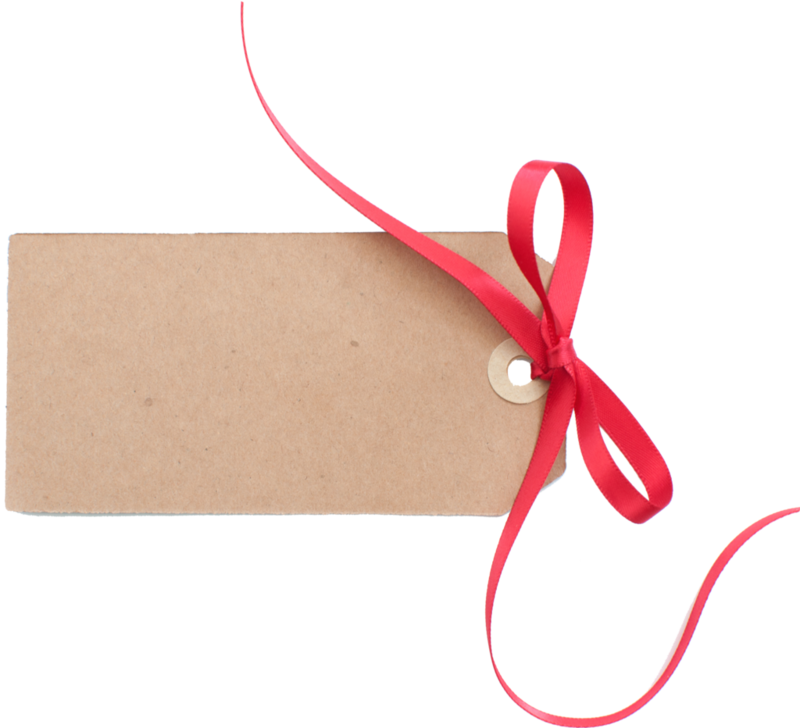 All contributors names will be displayed outside our Pay Station at the farm. We have a limited number of baubles, so please get in touch as soon as you can if you'd like to participate and we'll arrange a time for you to pick up your bauble! If you would like to be a contributor to our Bauble garden please give us a call on 01483 271770. Click here for the contributor's leaflet we ask you to fill in.